Career LEAP (Local Employment Action Partnership) is a pioneering youth work-readiness programme developed by Trinity College for at-risk young adults in Dublin’s north inner city. Delivered in conjunction with East Wall Youth, Swan Youth Services and businesses in the docklands and city centre area. It helps build personal, social, emotional and cognitive skills to develop career identity and work-readiness. Walls have been involved in Career LEAP since its infancy with Ian Barrett delivering the Interview Skills module and Niamh Barry on the Business Partners Advisory Board. Barry Reid, Joe Hanlon, Niamh Barry and Eoin Redmond have also mentored placements on our Dublin Landings and Cardiff Lane sites and Head Office. The recent group of students graduated at a ceremony in the Central Bank of Ireland Headquarters on 23rd November. 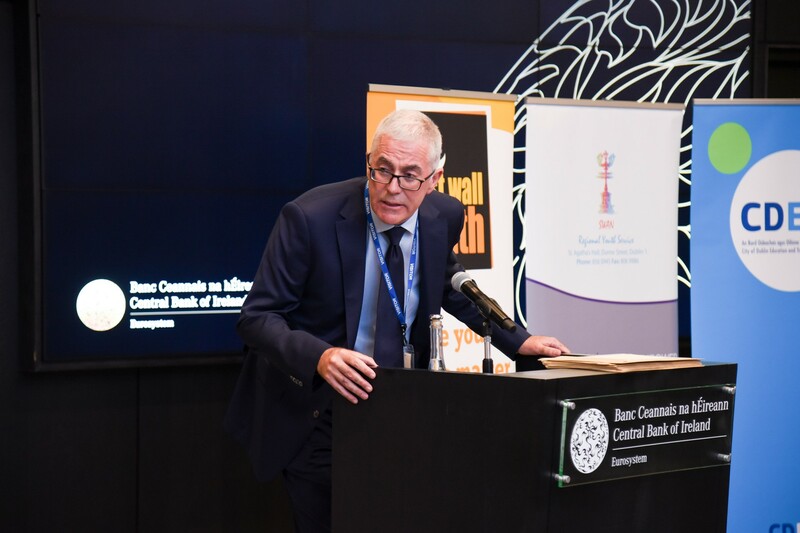 Key speakers at this event were Paschal Donohoe, Minister for Finance; Michael Stone, chair of NEIC; Philip Lane, Governor of the Central Bank; and Dr. Paula Murphy, Registrar, Trinity College. Ian represented the business groups and spoke about Walls’ experience of the programme. With almost 60 people have participated to date, over 90% remain in full-time employment or informal education. Professor in Education at Trinity, Carmel O’Sullivan, who led the research team that developed the initiative attributes the high success rate to the focus on evidence-based interventions and strong partnership between community services, business and researchers.